Mike Koranda and Aaron May know firsthand just how important finding the right co-Founder is to your success—and your sanity. I think it’s really important to have someone who can complement you and balance you, and we’ve definitely found that in each other. It’s a good thing that there’s a lot of outdoor space next to Mike Koranda and Aaron May’s office, because their actual office is basically a closet. “You don’t even want to know,” says Mike when I ask exactly how much square footage they have. “Twelve-by-five?” he estimates. “Six-by-ten?” Aaron offers. Working in that close of quarters has its virtues, though. When you work, as Mike puts it, “literally on top of each other,” it’s hard not to check in with what the other person is doing. And checking in is important for Mike and Aaron. A little over eighteen months ago, they co-founded a company together called Pacific Issue. To this day, they’re still the company’s only two employees. 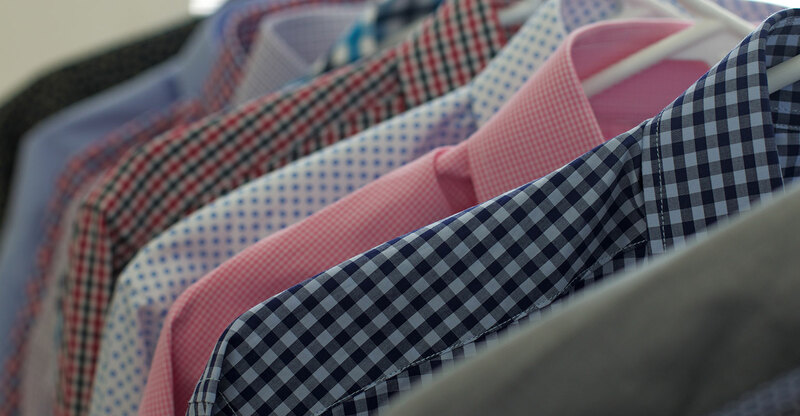 is an apparel brand specializing in ultra-tailored, ultra-stylish button-down shirts, which you can customize and order directly through their website. 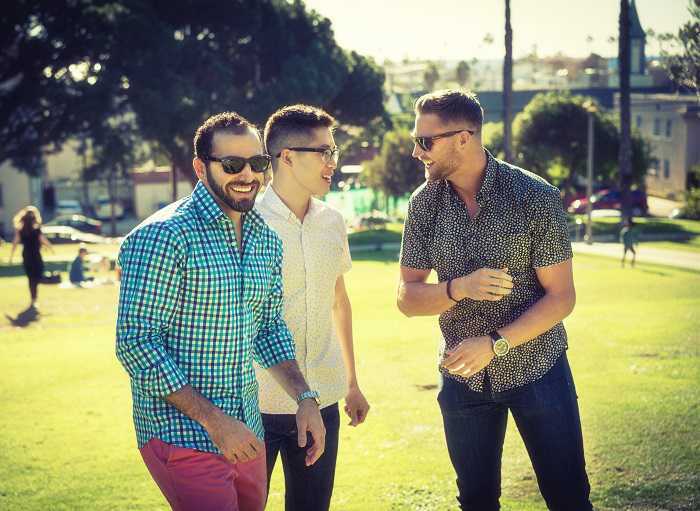 Inspired by their own struggles with finding shirts that matched their measurements and their personalities, Mike and Aaron have set out on a mission to rid the world of boring, baggy button-downs once and for all. It’s a mission that has taken them from the bars of USC to the streets of Bangkok, to here, in this six-by-ten-foot office in Marina Del Rey, where they’re plotting out their email marketing strategy and preparing to expand their audience beyond the small but incredibly loyal population they built during beta testing. How did it start? When I ask Mike and Aaron, they both go in for the joke. In all seriousness, though, they kind of did. Mike and Aaron came to their Pacific Issue partnership by different paths. Mike’s involved jumping ship from politics for a job in sales, writing advertorials from all over Europe and Asia. From there he jumped again to a job in eCommerce and digital marketing, before landing at a startup stateside. 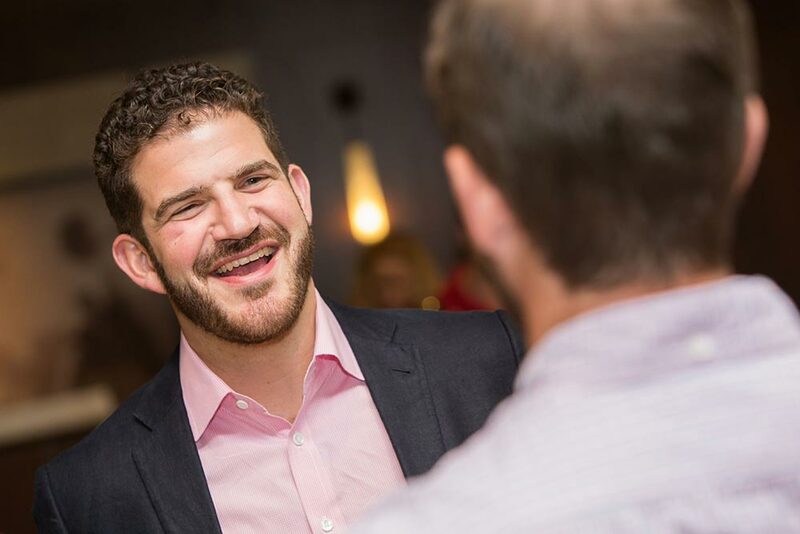 It was only with time that he started to connect the dots and see the path that was leading him toward starting his own company — this company, in particular. Here, Mike interjects to go on the record: he’s glad Aaron didn’t go through with his cereal restaurant idea. “I knew I liked him, I knew I trusted him,” says Mike. That night, Mike pitched Aaron his “stupid idea” for doing a custom clothing company built on state-of-the-art 21st century eCommerce, and for Aaron, it clicked: this was the startup he’d been waiting for. After that initial meeting, nothing much happened for months: Mike and Aaron continued with their MBA studies, went to class, participated in group projects. But the idea that became Pacific Issue never really went away. Over time, it started to take up more and more of their imaginations. We’re doing this now for real. We’re not building a deck any more, we’re starting to build a company. Sure enough, a few months later, when their study abroad group had the option of extending their visit to Thailand for a few weeks to see the sights and hit some beaches, Mike and Aaron extended by a month. But it wasn’t for vacation — it was for work. While some co-founders come into a company knowing exactly what their areas are going to be, for Mike and Aaron, finding that balance took time. Over time, the roles they would eventually take over in the company became clear: Aaron’s love of data and analytics, finance and optimization led him to “embrace his full nerdiness” and take the reigns on the operations side, while Mike’s passion for branding and consumer psychology led him “into the weeds” on marketing and brand development. Since they’re positioning to grow the company by leaps and bounds over the next couple of months, I can’t help but ask: How will these two co-founders stay in sync as their responsibilities pull them into increasingly separate spheres? One of the things that helps Mike and Aaron stay in sync: once a week, they head out of the (very tiny) office for a few holes of golf. We are able to communicate better when we get out of the office and we step away from our computers and just talk to people like humans. When I ask Mike and Aaron the top criteria they think entrepreneurs should be looking for in a co-founder, they’re quick to converge in on one essential ingredient: trust. You’ll spend more hours and more difficult times with each other than you will with anyone else, and there’s no great way to prepare for that, other than knowing it’s a person you can trust. Speaking of keeping things moving, both Mike and Aaron are laser-focused on their goals for Pacific Issue, and what the future has in store. Just recently, they completed development of a beautiful new version of their website, which a successful crowdfunding campaign on Fundable helped them take from simple landing page to fully functional customer portal. Now, the twin priorities: marketing and customer experience. Chances are Mike and Aaron will have plenty of “extra miles” to go before they see this thing through to the end. In the meantime, it’s nice to have a travel buddy for the trip.